The mansion is easily accessible by car and public transport alike about half hour from Budapest centre. One of the outstanding baroque buildings of Hungary is the Száraz-Rudnyánszky mansion, which bears the characteristics of the Grassalkovich type mansion houses. The building is divided by columns, pillars and chambers formed according to the demands of the age for rich light-shade effects. The demanding sculptural ornament is a worthy crown upon the building: the roofing resembling to a dome bears the coat-of-arms of the Száraz and Rudnyánszky families. 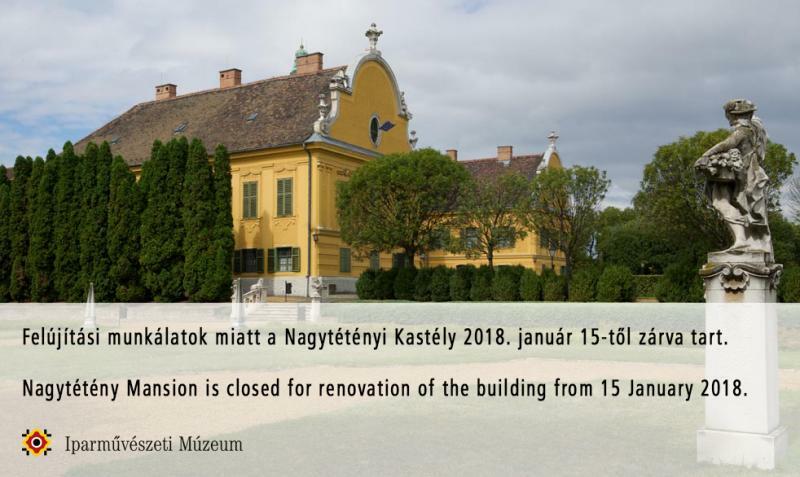 Nagytétény Mansion is closed for renovation of the building. The Nagytétény Mansion is temporarily open to the public in the holiday season between 2 December, 2018 and 6 January, 2019.